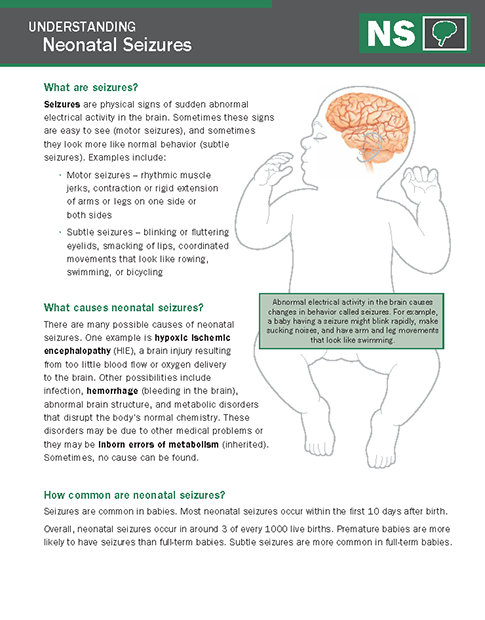 To help you and your NICU team talk to parents about their newborns’ conditions and treatments, Mallinckrodt Pharmaceuticals has developed these education resources. You will need Adobe® Reader® to view the downloads below. Download an Anatomical Image Library that features 38 different images, including brain, heart, lungs, full body, and more. If you're a current Mallinckrodt Pharmaceuticals customer, you can request this kit, which includes 25-sheet tearpads of several educational handouts (available individually below). Contact your Mallinckrodt Pharmaceuticals representative to find out what materials will best serve your needs. 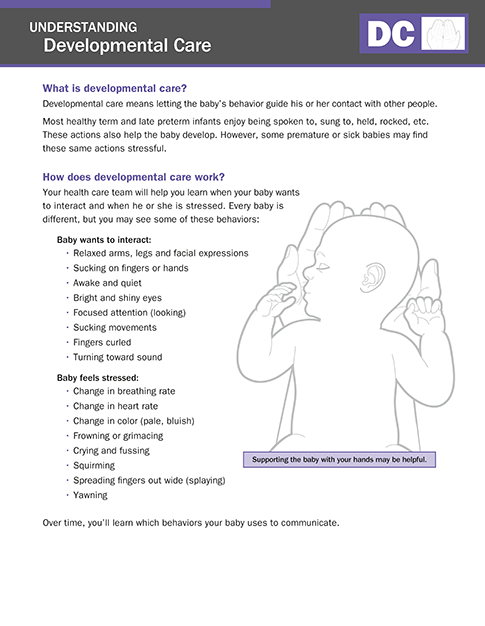 Download various handouts that address specific neonatal conditions, as well as provide information on parents’ questions and concerns. 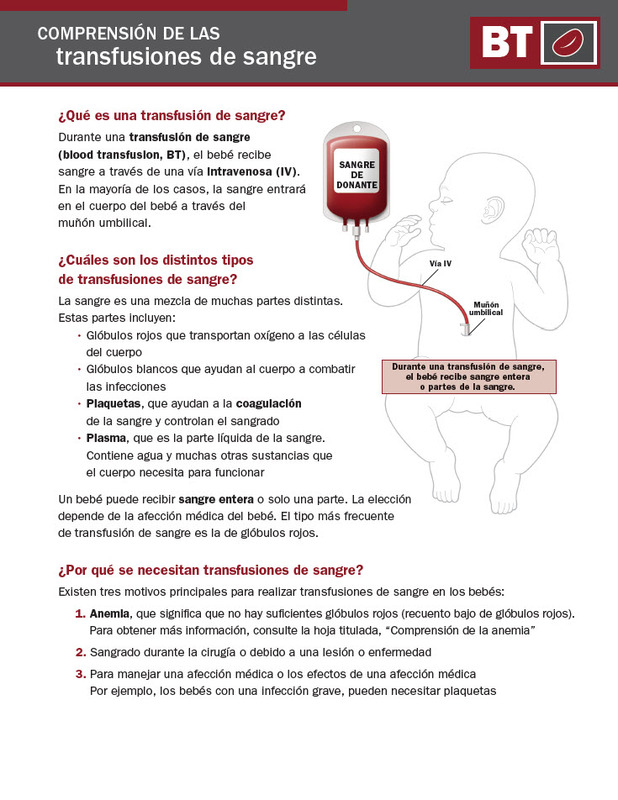 Select the specific handout below for more information and to download. 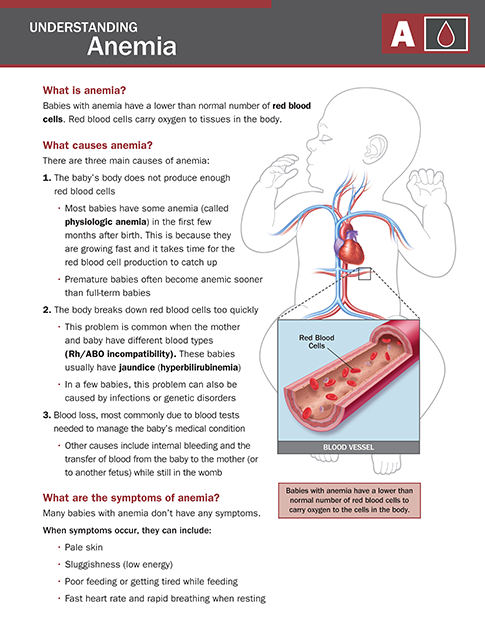 Learn about the causes of anemia, symptoms, diagnosis, and treatment. 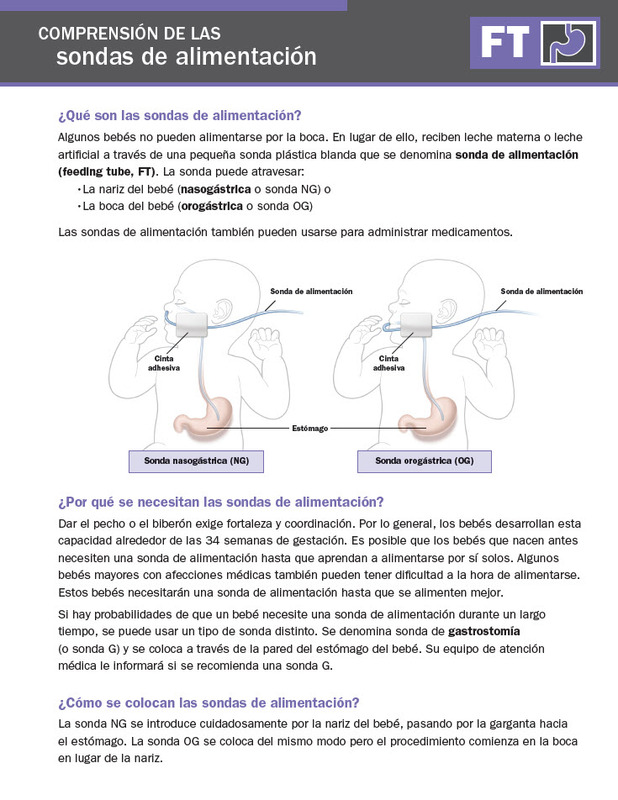 Includes definition of apnea of prematurity, causes of apnea of prematurity, potential problems, how to monitor, and treatment. Includes the definition of BPD, causes, risk factors, diagnosis, treatment, and expectations. 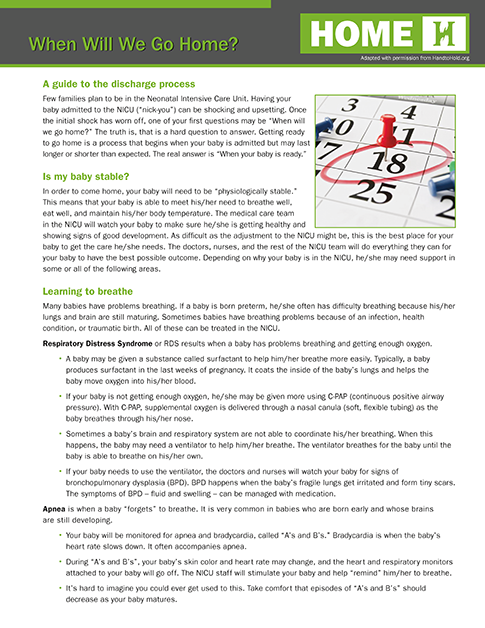 Includes an overview of developmental care, tips on interacting with baby, and Kangaroo Care. 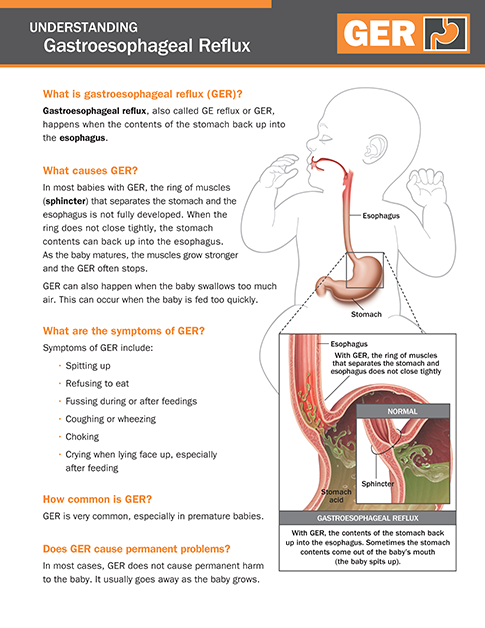 Includes definition of GERD, causes, symptoms, treatment, and expectations. 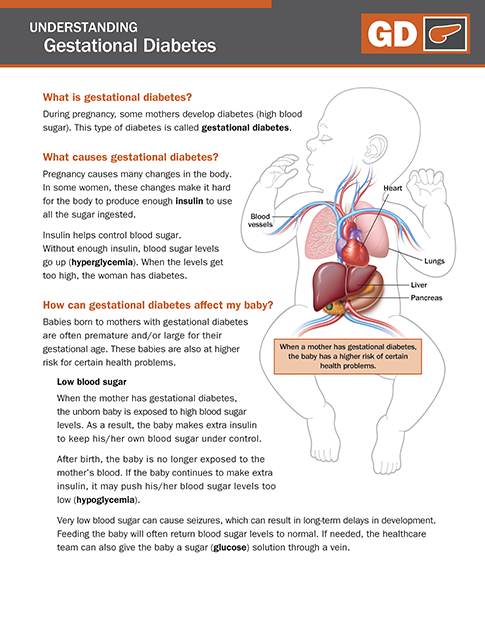 Includes definition of GD, causes, potential risks, and expectations. 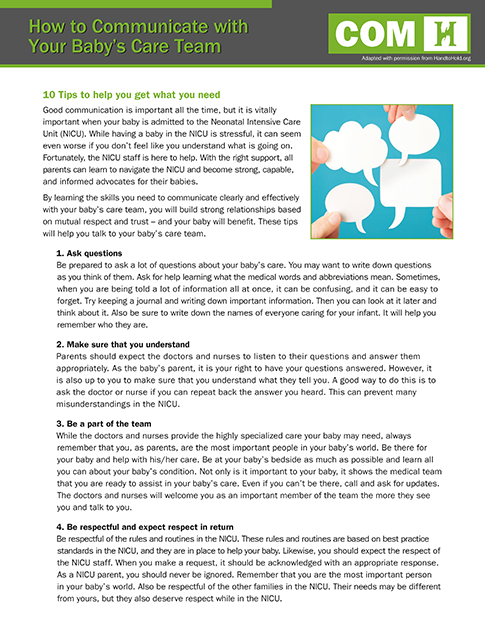 Review tips to communicate clearly and effectively with your baby’s NICU team. 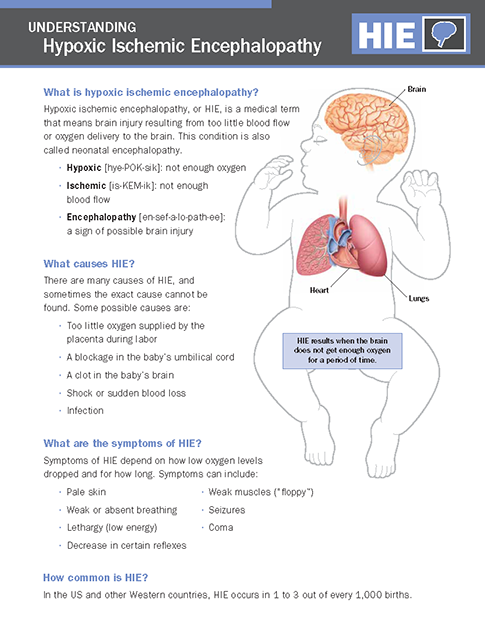 Includes definition of HIE, symptoms, diagnosis, treatment, and expectations. 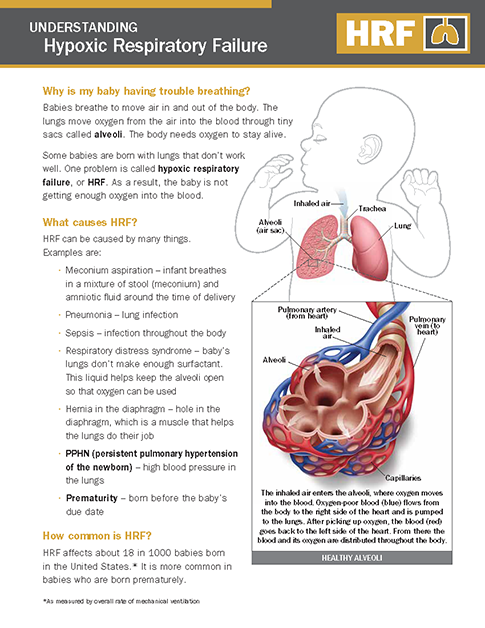 Includes explanation of breathing trouble, causes of HRF, treatment, how to monitor, and expectations. 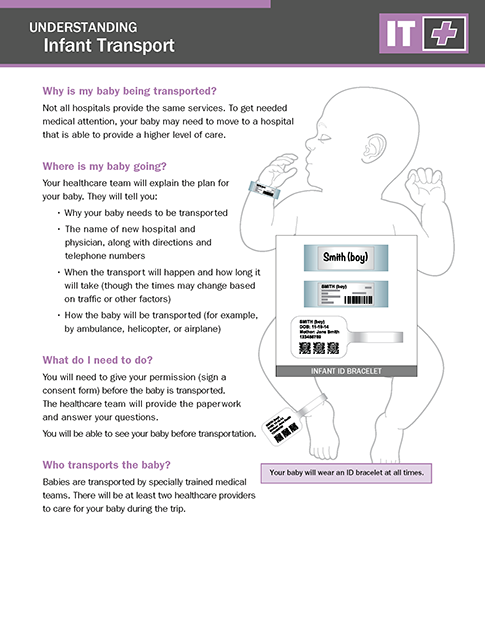 Understand why an infant may need to be transported, steps that occur prior to infant transport, and care received during transport. 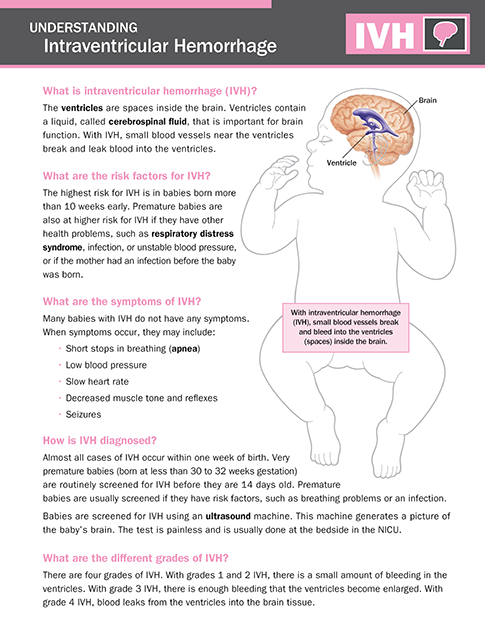 Includes explanation of IVH, causes, diagnosis, treatment, how to monitor, and expectations. 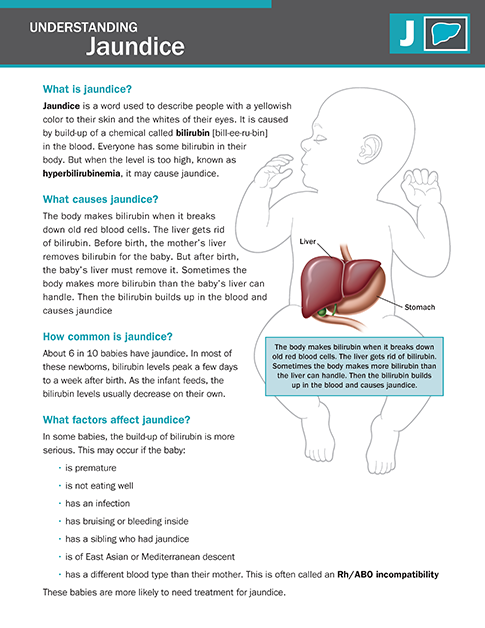 Includes definition of jaundice, causes of bilirubin buildup, potential problems, treatment, and expectations. 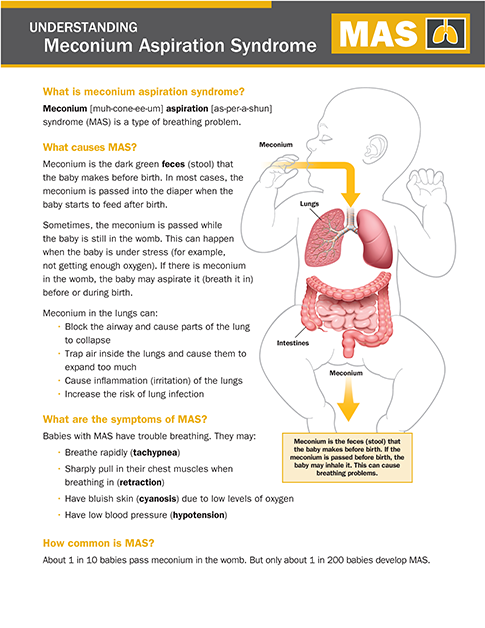 Includes definition of MAS, causes, symptoms, risk factors, diagnosis, treatment, and expectations. 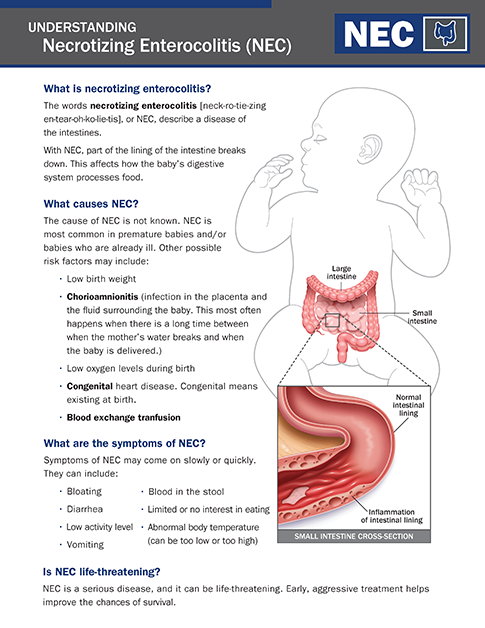 Includes definition of necrotizing enterocolitis, causes of NEC, symptoms, treatment, and expectations. 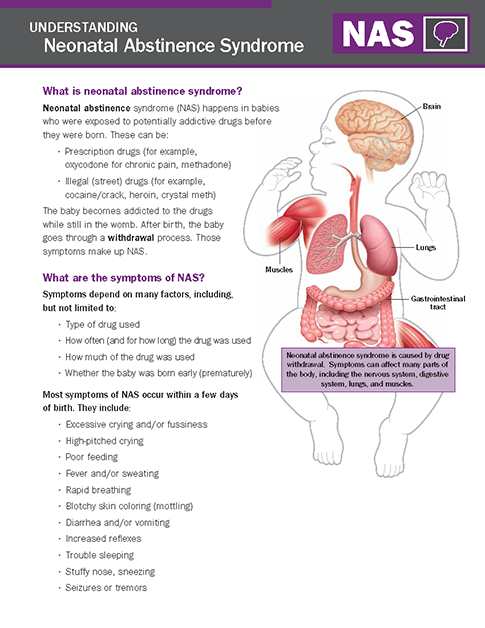 Includes definition of NAS, symptoms, treatment options, and expectations. 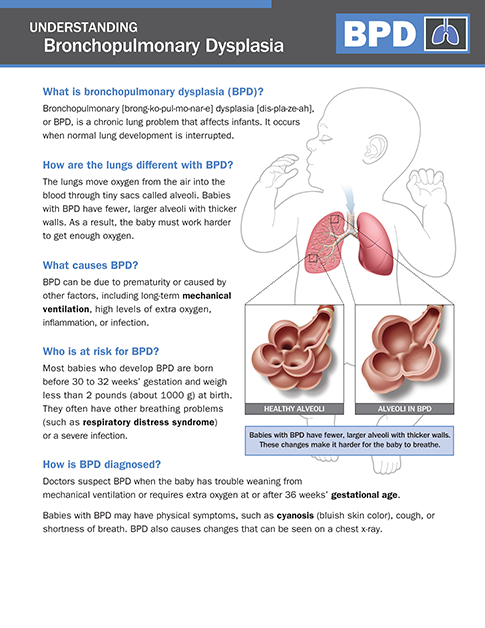 Includes explanation of NS, causes, diagnosis, treatment, and expectations. 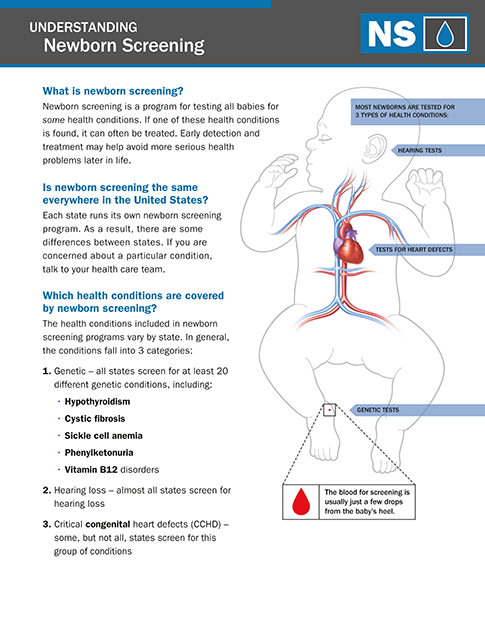 Understand the purpose of newborn screening, key screening categories, and how screenings are performed. 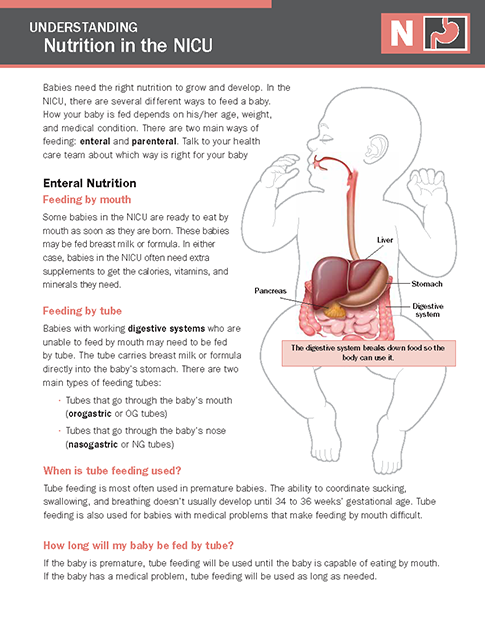 Includes explanation and next steps associated with oral nutrition, enteral nutrition, and total parental nutrition (TPN). 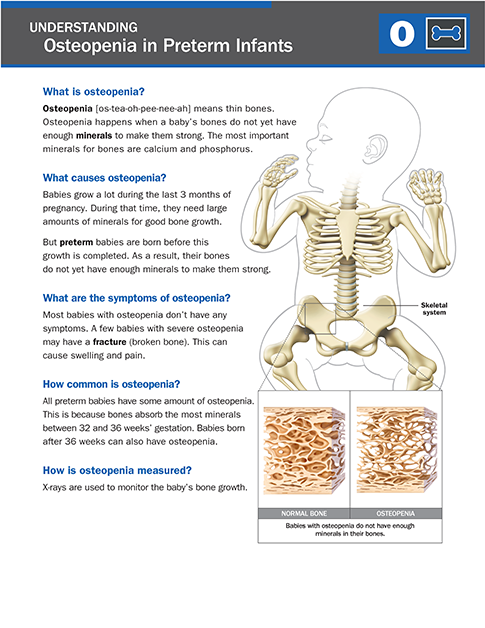 Includes definition of Osteopenia, causes, symptoms, treatment, complications, and expectations. 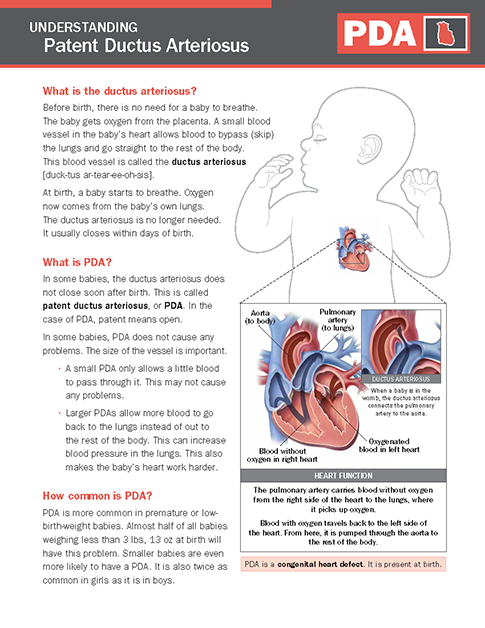 Includes definition of ductus arteriosus, definition of PDA, treatment options, and expectations. 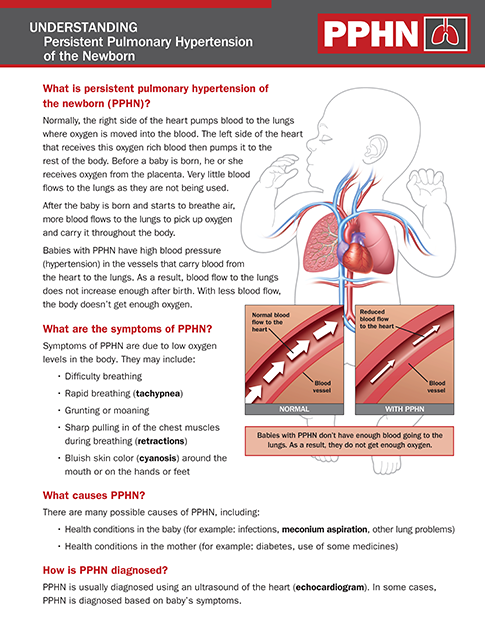 Includes the definition of PPHN, symptoms, causes, diagnosis, treatment, and expectations. 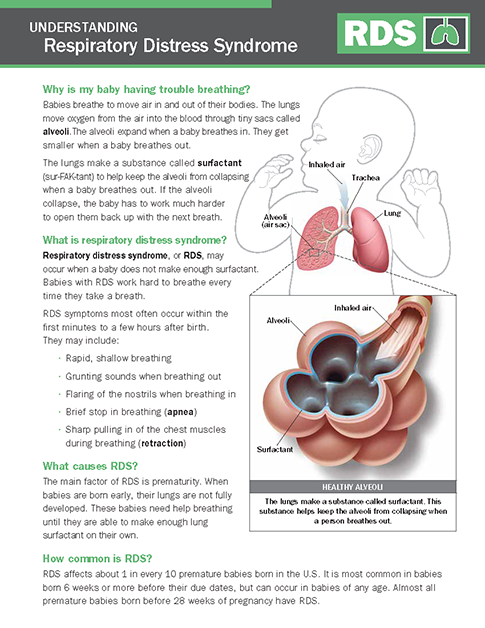 Includes explanation of breathing trouble, definition of RDS, causes of RDS, treatment, how to monitor, and expectations. 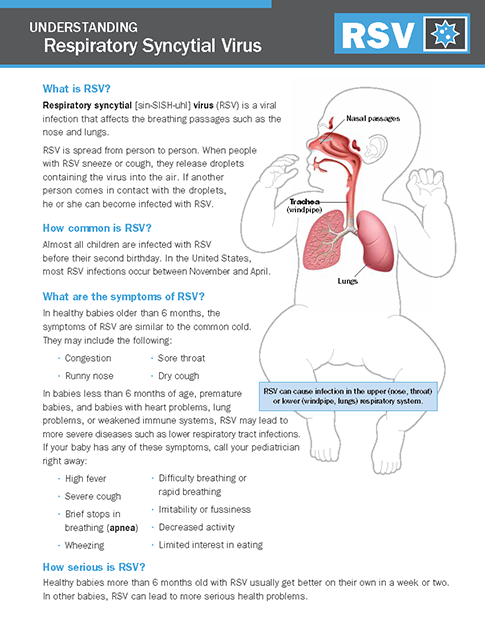 Includes explanation of RSV, symptoms, complications, prevention, diagnosis, treatment, and expectations. 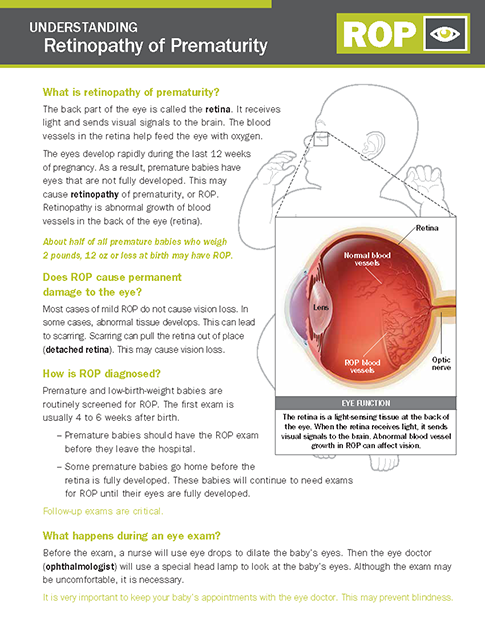 Includes definition of ROP, how ROP is diagnosed, what happens during an eye exam, stages of ROP, treatment, and expectations. 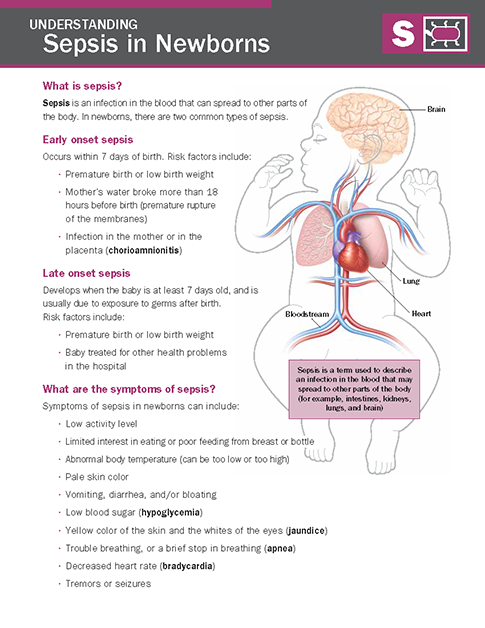 Includes definition of sepsis, risk factors of early onset sepsis and late onset sepsis, symptoms, treatment, and expectations. 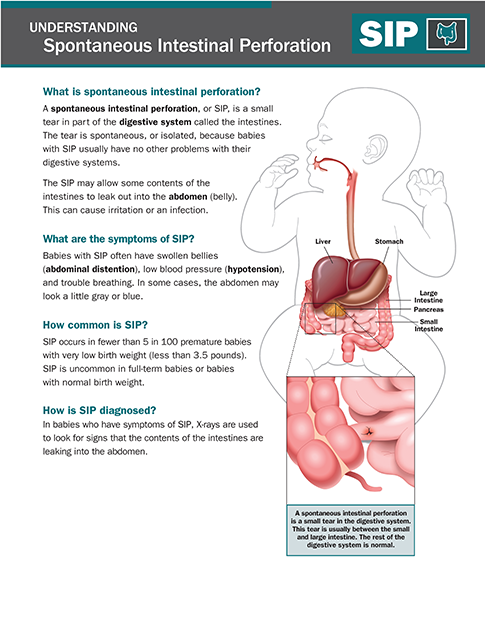 Includes definition of SIP, symptoms, diagnosis, treatment, and expectations. 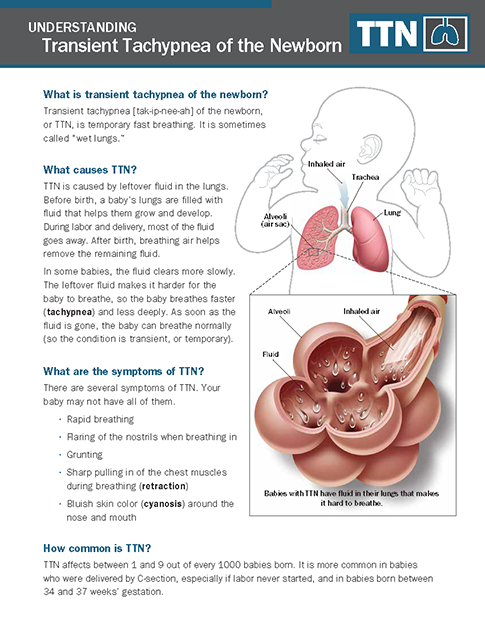 Includes definition of TTN, symptoms, diagnosis, treatment, and expectations. 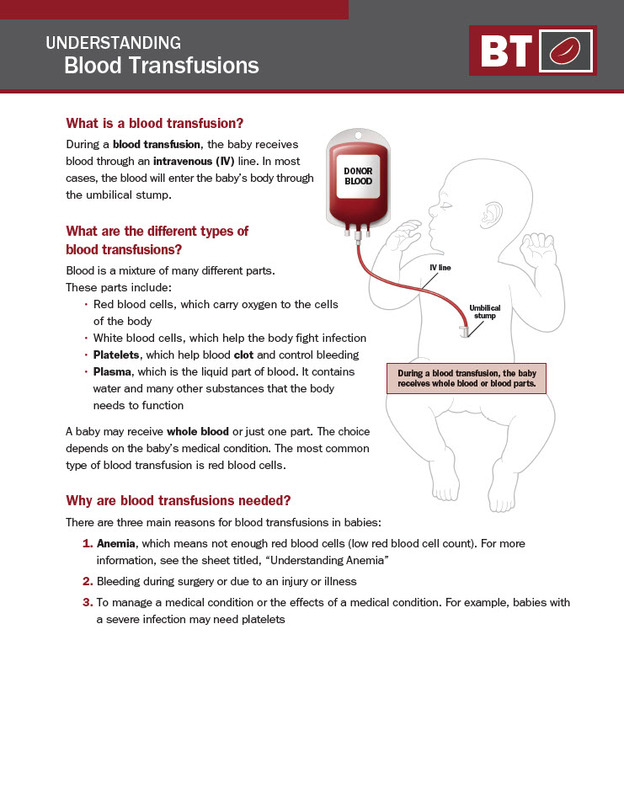 This guide will help you understand what a blood transfusion is, why one may be needed, and what the different types of blood transfusions are. 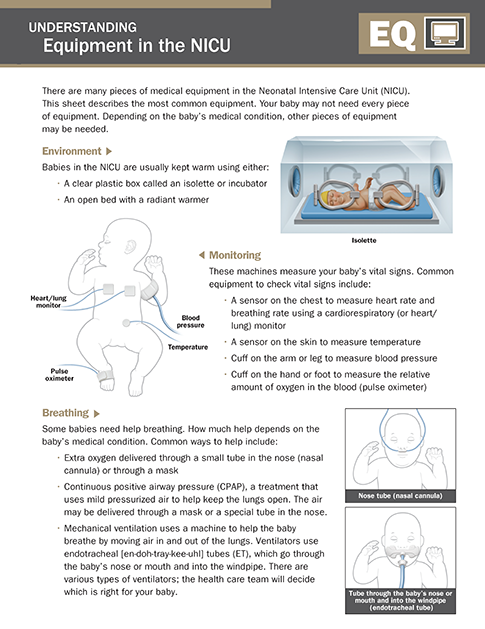 This review of the most common equipment found in the NICU will help you familiarize yourself with their function and importance. 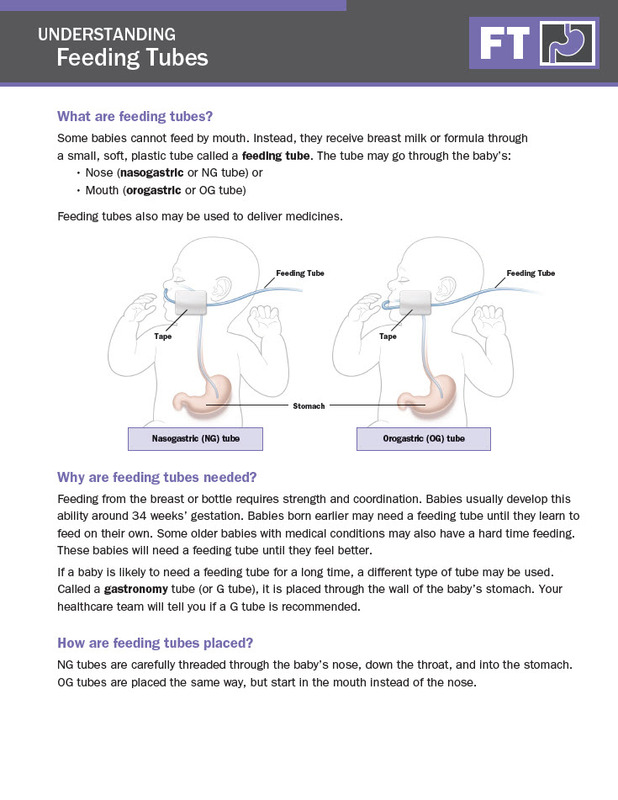 This guide will help you understand what feeding tubes are, how they are placed, and why they are needed. 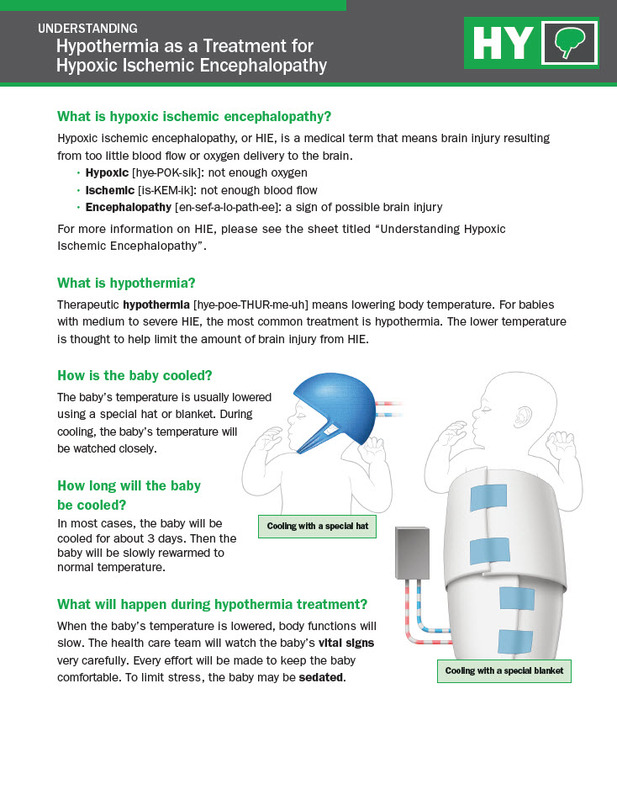 This guide provides definitions of hypoxic ischemic encephalopathy and hypothermia and explains how hypothermia therapy is done. 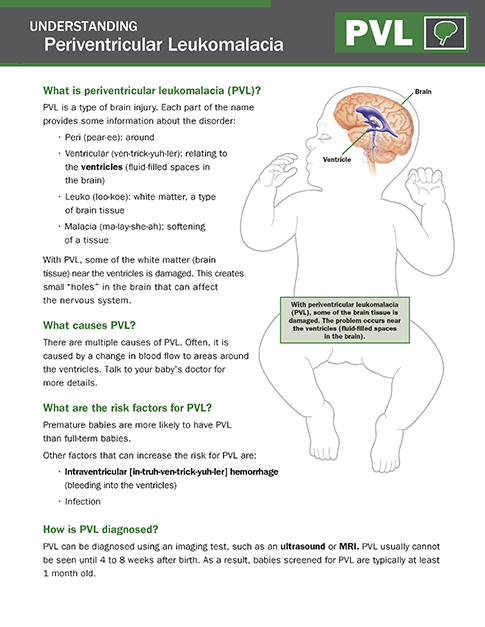 This guide is intended to provide information about PVL, which may be helpful as you talk to your baby’s doctor about central nervous system health. Vaccinations save lives. 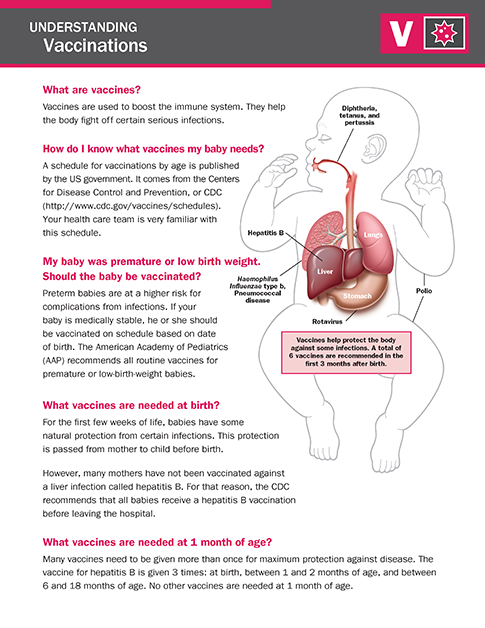 Learn this important information, and talk to your baby’s doctor about vaccination schedules. When Will We Go Home? 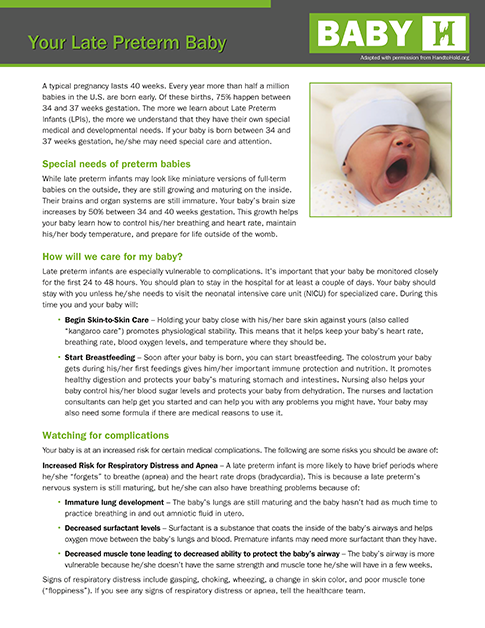 Understand the criteria used to evaluate whether your baby is ready to be discharged from care. 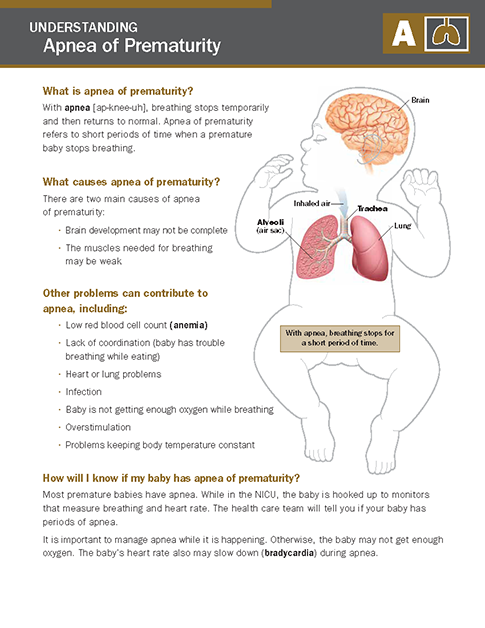 Learn how to care for late preterm infants (LPIs), including spotting possible medical complications. Recommend Additional Parent Education Information. Yes! I want to receive important news and information regarding Mallinckrodt Pharmaceuticals and Mallinckrodt Pharmaceuticals products. Fill out this form to receive your free download. Fill out this form and your Critical Care Business Manager will contact you. Yes, I am a current Mallinckrodt Pharmaceuticals customer. You must be a current Mallinckrodt Pharmaceuticals customer in order to receive a Toolbox or printed materials.